A landing page is a page that a user will arrive at, or land on, when they first visit your site. This doesn’t necessarily have to be your homepage. Let’s discuss why. If a user has arrived on your site from a link in an advertisement, a tweet or a google search results page chances are they’ve come looking for something specific. They’ve then hit the most generic page on your site and have to work to find the area that brought them to your site. If you’re making your users work your conversion rate is likely to go down. The alternative is to set up a page which is specifically tailored for users who came from a certain lead. For example if they came from an advertisement then direct them straight to a page which is relevant to the offer. Or if they came from a google search direct them to a page which contains information they might have been searching for. Include a clear CTA so that once they have the information they came for they’re likely to convert. That way your users get maximum gain for their minimum effort, and you get maximum conversions! There are different types of landing pages. The three main ones are Click-Through, Lead Generation and Squeeze pages. This tends to be the simplest type of landing page. The purpose is to warm visitors up to your brand or products quickly with a short list of benefits, and then offer them a click-through to your product/service via the CTA. There isn’t usually a form on this type of page, that CTA to the product page is the only obvious action. These tend to be slightly more in depth content-wise as, at the end, you want your visitor to submit their personal data. In order to get them to do this you need them to be more invested. The forms tend to be the centre of attention and there are usually no other routes off the page to any other pages. These are useful when you want to sell your brand or product and then straight away get users to send you their contact details. Squeeze pages are designed to force users to submit their email address before they’re able to enter the main site. You’ll have seen these pop up before the homepage on various sites. This page won’t have a full form, but will generally just require an email address in a simple data capture form. The content on these pages needs to be limited and easily digestible. Less is more. We know we harp on about this a lot but no where is it more important than a landing page. Keep the page short and very visual. Make the selling points clear and keep the CTA really obvious. Keep your CTA above the fold. Make sure your main headline is prominent. Then add a short but enticing follow up, just in case the users don’t scroll any further. Ordinarily we’d say the fold doesn’t matter much in webdesign but on a landing page it’s actually quite important. Use larger fonts – within reason of course. Don’t put everything in headline font otherwise your potential users won’t be able to see the wood from the trees. Clever use of fonts can be more effective than imagery. Consider including video. Conversion rate is much ihgh on landing pages when there’s a video. 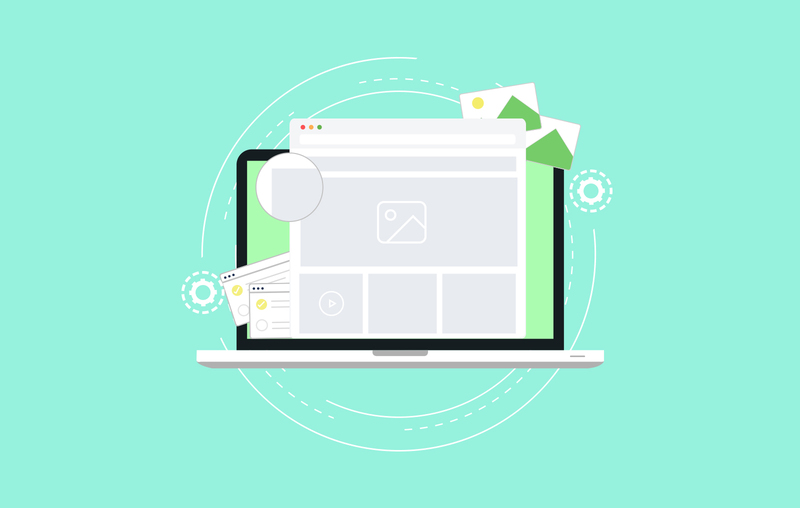 If you directed users from an email link, make sure you match the look and feel of the email. Consistency is key here! It will avoid confusing your visitors and will strengthen your brand. To find out what else we know about landing pages, and to help with your online campaigns please give us a call.